Rwandan Senate has given government up to six months to come up with a clear action plan and follow up on how to put to productivity port land the country acquired in Djibouti, Kenya and Tanzania. This task will see three ministries and the Rwanda Development Board (RDB) convene to draft a plan on how Rwanda can profitably use 83.3 hectares of land. “We have resolved that in not more than six months we get a progress report on the agreement on Djibouti port and six months for government to give clear plan of how they will put the land in Kenya and Tanzania to good use,” said Apollinaire Mushinzimana, member of Senate Committee for Foreign Affairs, Cooperation and Security. The resolution comes years after Rwanda has not been able to put to good use strategic land located on the Djibouti free-zone, Mombasa and Isaka Ports donated by the three countries. For example, a commission report presented on Monday in the Senate showed that in 1986 Kenya gave Rwanda 12.8 hectares on Mombasa port, in 1987 it received 10.5 hectares on Isaka dry port from Tanzania, and a two phase 60 hectares on Djibouti port in 2013 (20ha) and 2016 (40ha) when President Paul Kagame visited the country. The commission chairman, Michel Rugema blamed ministries of trade and industry, foreign affairs, infrastructure and Rwanda Development Board for not doing anything practical on the land. “These ministries and the development agency have not had a detailed plan, that is why it is being rolled back to government…though the government has the will to use the land we need a tangible plan,” Rugema said. 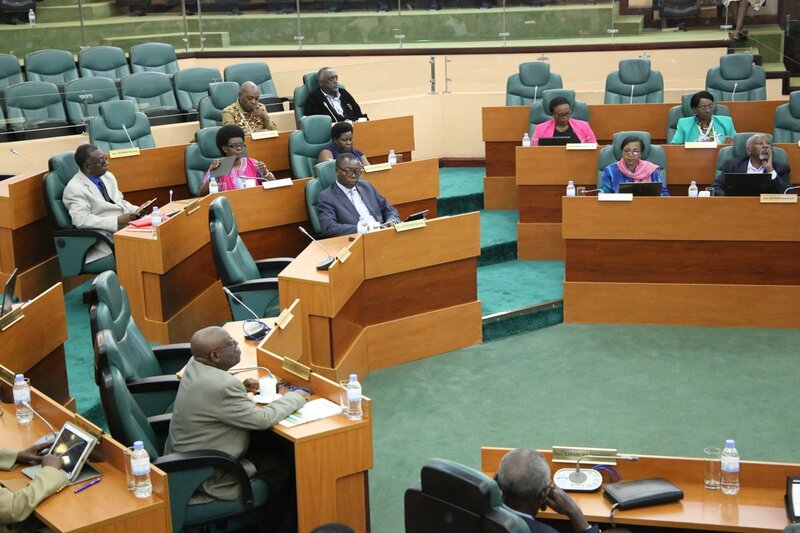 Senate president Bernard Makuza said that from the report, government will have to give a practical plan of action of developing or investing on the land Rwanda it owns in Kenya, Tanzania and a follow up on the Djibouti agreement. “It’s not good if a friendly country gives you land and you don’t use it. It’s useless to keep mentioning its value for Rwanda, we just need to put it to good use,” Makuza said. The commission said that so far some local investors have expressed interest in investing in the Djibouti land but government should also put up a special company that will ensure all its land is put to productivity. According to senate, developing infrastructure like warehouses on the Isaka, Mombasa port lands can practically be beneficial for Rwanda as the country counts on the anticipated Standard Gauge Railway that will connect Kigali import and export activities from both directions. On the Djibouti port, Rwanda’s growing e-commerce could be connected to the rest of the European e-markets and opportunities cutting the costs of having to go through other regional links. However, Rwanda is not sure whether to take on the Mombasa port land which remains contested in court by a Kenyan businessman, Salad Awale of the Awale Transporters. Senators said that the line ministries should be blamed for not doing anything on the land since 1986. This laxity resulted in the Kenyan businessman claiming ownership on the principle of adverse possession of the land but the Kenya courts ruled in favor of Rwanda giving Kigali government the rightful land titles and a green light to use the land in which Awale had set up a few warehouses. On May 31, 2016, Kenyan courts revoked the title deed which Awale has presented as a proof that it was his land. The court ruled that the document was bogus. Awale appealed against this decision one month later. The commission report stated that Rwanda technically owns the land but Awale continues to seek it, and to this effect recommend that Rwanda resorts to address the matter through diplomacy and negotiation. “They (Kenya) told us to invest on this land, and if the land is ours, why is it that there is no development on Mombasa plus the Isaka land for example, since there is no action that shows the Kenya government took back its land?” Senator Evariste Bizimana wondered. Senate commission replied that no single institution took absolute responsibility to champion the donated land use. For the land in Kenya for example, MPs said that the relevant institutions were scared away by the piles of documents on the case and they sat back.